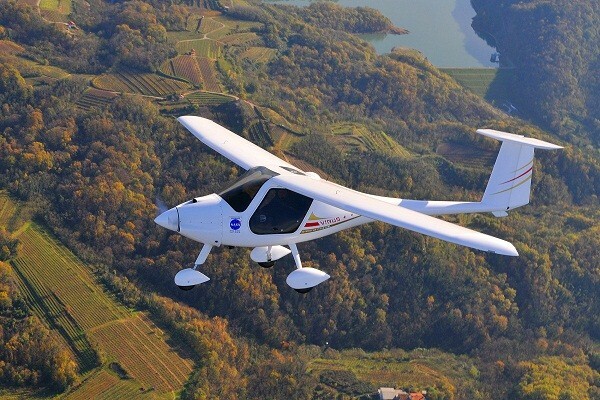 Last friday I flew above the Rhine in Germany in an ultra light airplane. Because I had to photograph through a tiny hole in the window, it was not that easy. But it was a lot cheaper than renting a helicopter. 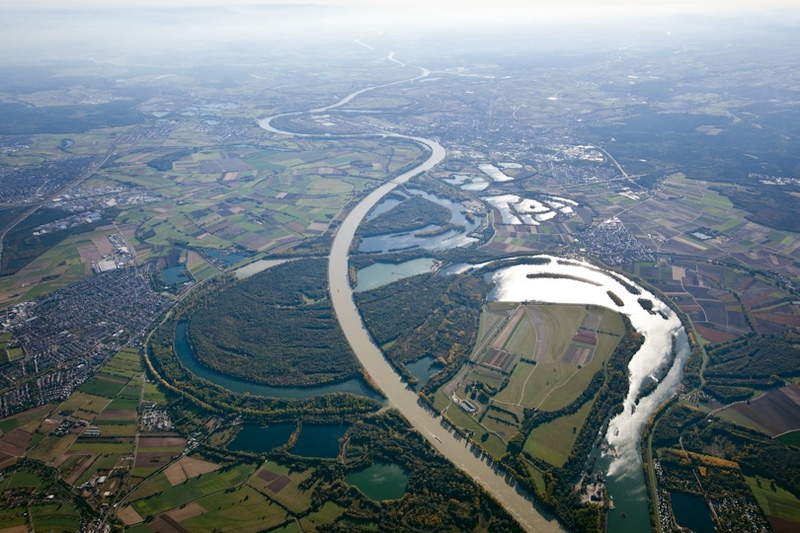 From the air you can see the old Rhine meandering around the canalized Rhine. This canalized Rhine is good for transportation, but can cause heavier floodings downstream.